When Will California Legalize Pot? Now that Colorado and Washington have done it, California reformers are eyeing 2014 or 2016 for another ballot initiative — but their optimism is laced with caution. The Colorado campaign focused on a key demographic: moms. When news broke on the evening of November 6 that Colorado had become the first state to legalize cannabis for adults 21 and older, patrons at the trendy Casselman's Bar & Venue in Denver erupted in cheers before they hugged each other and cried. Onstage, organizers and friends of the Campaign to Regulate Marijuana Like Alcohol thanked those who had gathered — the elderly African-American ladies, the young hipsters, the business execs. There were far more people in suits, however, than in tie-dye in attendance that night, and there was nary a hint of ganja smoke in the hip establishment. Pragmatism trumped counter-cultural rebellion again a few hours later in Seattle's Hotel Ändra, where travel writer Rick Steves joined business leaders and members of the ACLU, along with Seattle City Attorney Pete Holmes, in thanking volunteers for making history in that state. 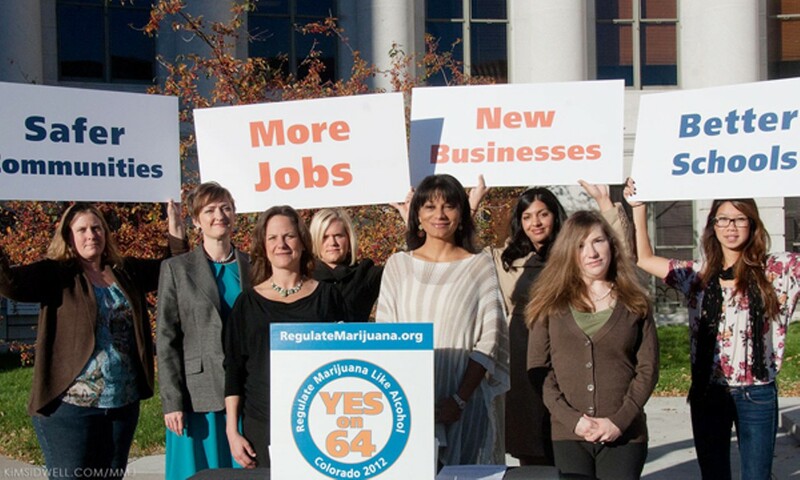 Last week, Washington's Initiative 502 went into effect, and Colorado's Amendment 64 was implemented on Monday. Prosecutors in both states have already been dismissing simple possession cases by the thousands. But cheers for Colorado and Washington on election night were accompanied by a bit of jealousy here in California, where voters narrowly defeated the pot legalization measure Proposition 19 in 2010. "A lot of people have said to me, 'How come we couldn't do that last election?'" remarked Stephen Downing, a retired Los Angeles Police Department deputy chief and a member of Law Enforcement Against Prohibition (LEAP). The victories in Colorado and Washington have sparked more than just jealousy in the Golden State. Amanda Reiman, California policy manager for the Drug Policy Alliance, said a new legalization initiative is now on the tip of everyone's tongue in the California reform community. "This was something that we were talking about before the election," she said. "The results of the election have just ramped up those conversations, absolutely." NORML, the National Organization for the Reform of Marijuana Laws, has planned a conference on legalization for January 26 and 27 at Fort Mason in San Francisco. NORML, the Marijuana Policy Project, the Drug Policy Alliance, LEAP, Americans for Safe Access, the Emerald Growers Association, and the Oaksterdam community in Oakland, have been holding both public and private talks as well. "No question about it," said Bill Zimmerman, who helped run California's successful Proposition 215 medical marijuana initiative in 1996. "A lot of people in California are starting to talk about a future campaign — certainly the debate about 2014 versus 2016, all that's being engaged." 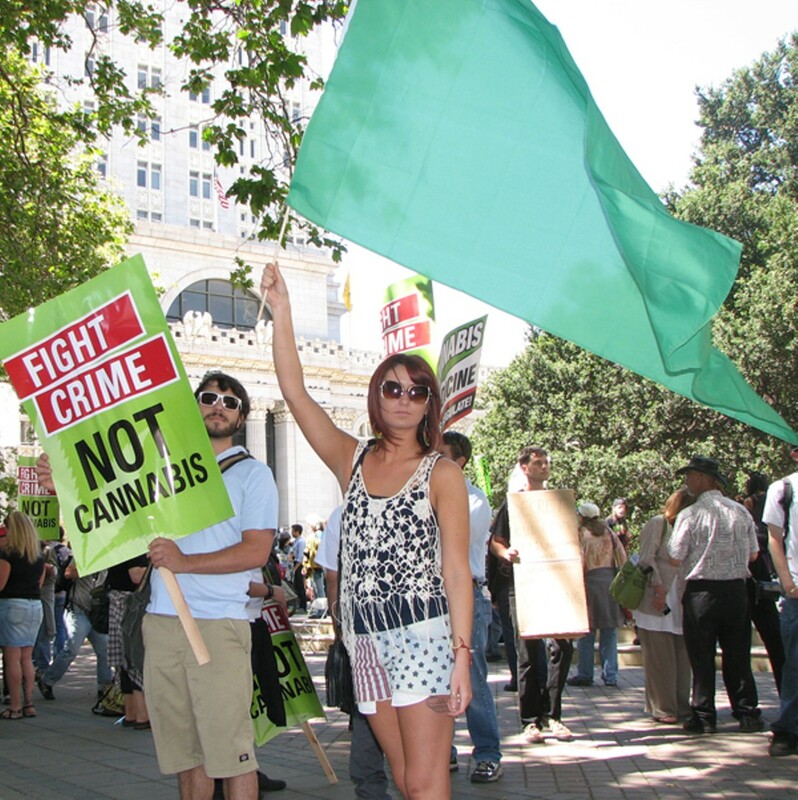 A new California legalization initiative also may not be the only one in the nation. Recent polls show that Americans are becoming increasingly comfortable with the idea of bringing pot out of the closet. A survey released last week from the respected polling organization Quinnipiac University showed that Americans now favor marijuana legalization 51 percent to 44 percent. It's a historic shift. Americans also believe that states — not the federal government — should decide whether pot is legal. A Gallup poll released on December 10 revealed that 64 percent of Americans want to leave marijuana policy up to the states. "I would not be surprised to see [cannabis legalization] on the ballot in a number of places in 2014 and 2016," said Beau Kilmer, co-director of the Drug Policy Research Center at the nonpartisan think tank RAND. But replicating Colorado and Washington's victories isn't a simple matter of copying and pasting initiatives, reform experts say. The victories in both states came from a decade of hard work that resulted in not only strong coalitions and palatable initiative language, but also campaigns run by professional operatives armed with cash. Experts say California is a different beast entirely. Moreover, evidence has emerged that drug warriors are already lobbying the Obama administration to overturn the election outcomes in Colorado and Washington before states like California can legalize pot, too. The Colorado victory may have blindsided the federal government, but the movement toward marijuana legalization had been building for a long time. "It took eight years, a couple million dollars, and some dedicated people," Mason Tvert, co-director of the Colorado campaign, told me. Amendment 64 really started with the SAFER education campaign, which relentlessly hammered home the message that marijuana is safer than alcohol. Then in 2006, SAFER ran a statewide pot legalization initiative. Although it failed, the defeat taught the group some key lessons, including the importance of grassroots campaigning and building a solid political infrastructure. Meanwhile, in Denver, state lawmakers were becoming leaders of the national medical marijuana movement. Coloradoans had legalized medical weed at the ballot box in 2000, but the medical pot industry's rapid and unchecked growth sparked intense criticism. The Colorado legislature responded by passing seed-to-sale regulations for the state in 2010. The new rules are administered by the Colorado Department of Revenue, which quickly corralled the unbridled medical cannabis trade in 2011. Today, gun- and badge-carrying officers from the Medical Marijuana Enforcement Division regulate the industry, with pot cops monitoring grow rooms and club transactions via remote cameras linked to the Internet, while ensuring the collection of millions in tax revenue for the state. Against this backdrop, in which the electorate not only had become aware that pot is safer than booze, but also realized that the state had a functioning system for controlling medical cannabis, marijuana law reformers decided to launch another initiative for 2012. The Marijuana Policy Project, a nationwide effort to decriminalize pot and keep users out of prison, provided 90 percent of the funding for the Amendment 64 campaign, Tvert said. The Drug Policy Alliance, another nationwide drug reform group, donated the other 10 percent. The highly professional campaign in Colorado conducted polling, drafted initiative language, and paid signature gatherers to get the necessary valid signatures to put Amendment 64 on the ballot. The campaign also worked closely with the Students for Sensible Drug Policy, LEAP, the ACLU of Colorado, and the NAACP of Colorado to mobilize thousands of volunteers to go door-to-door and staff phone banks.